Which tablets to use for congenital hip dysplasia? I have moderate congenital hip dysplasia, am 51 years old and wants to ensure that my cartilage remains in good condition. Which tablets do you recommend? Has your hip been bothering you for some time, and a certain degree of cartilage damage has been found? If you don’t have any symptoms, and no damage has been found yet then just chondroitin may be sufficient. This supplement ensures protection against wear and has the least chance of side effects. Research into the effect of chondroitin has shown that it slows the wear up to 4 times (on average) in people with osteoarthritis. This is found with a daily dosage of 800 mg. Our supplement contains 1,200 mg per daily dose of two capsules. 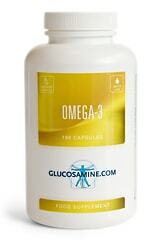 You could alternate dosages of 1 to 2 capsules per day. A guarantee that problems won’t occur eventually is hard to say. People react differently to the supplements. 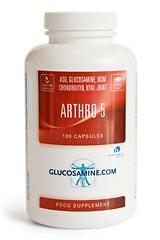 You get the best protection by taking a combination of supplements such as in Arthro-5. But usually this is only used when there are actual symptoms. No osteoarthritis has been identified yet, but sometimes I just walk a little bit more differently. Is the ‘walking differently’ always been linked to hip dysplasia? If it’s something that occurred over the last few years then you should see if it gets better after you’ve tried glucosamine for about three months. 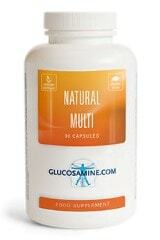 Glucosamine improves walking in people with osteoarthritis. 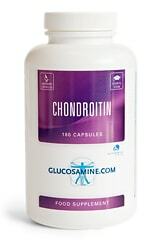 If you always had trouble walking then chondroitin should be sufficient. Of course you can still supplement it with glucosamine. This inhibits wear, just like chondroitin. But because glucosamine works in a different way it complements chondroitin very well. Together they protect against the development of osteoarthritis even better.